Today we are very excited to announce that our Atlantik V4 LED lighting for reef aquariums is now available at BULK REEF SUPPLY. This American company based in Minnesota has a great range of products for reefers and also a great Youtube channel – the BRStv providing interesting news, reviews, product comparisons and all a hobbyist need to know about reefing. 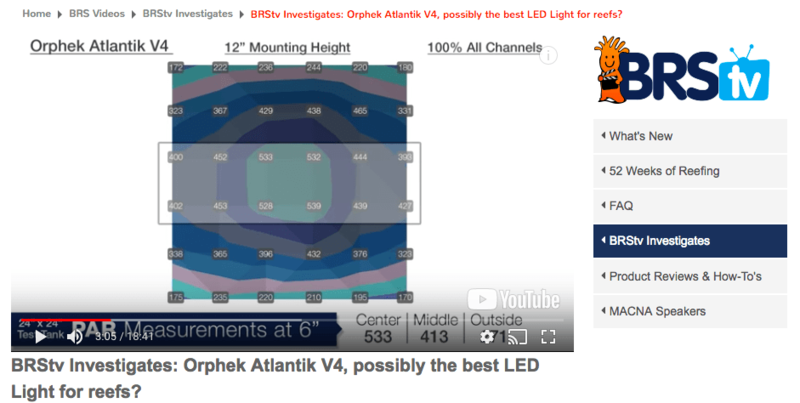 Orphek Atlantik V4 is fully reviewed in the channel so you will be able to have a very detailed review of our LED reef light. Ryan will show you detailed performances of our light at different highs, running on different programs (he will also show you what is the best program to go for in his opinion); compare or lights to others the company has reviewed; and finally answer the question proposed: if we are the best lights in the market. 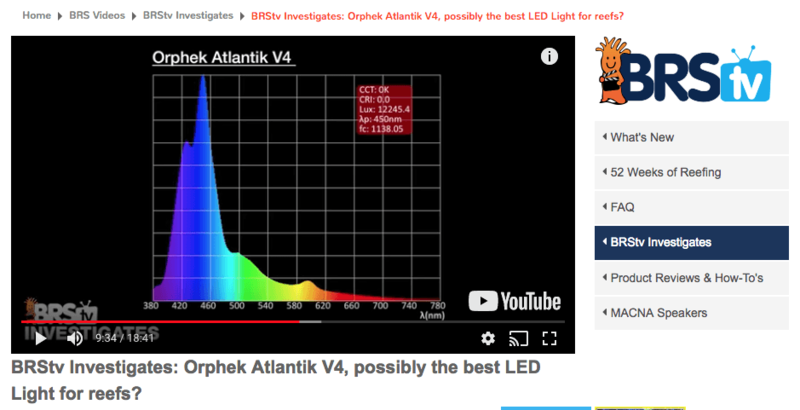 Watch the video now to learn everything you need to know about our Atlantik V4 and how to win a FREE Orphek Atlantik V4!!! 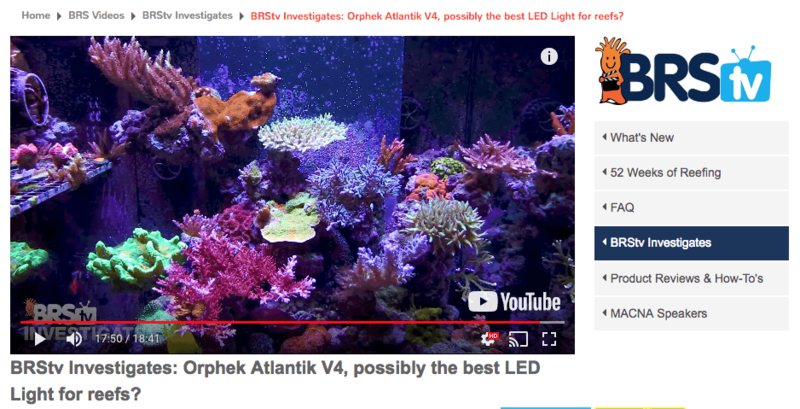 BRStv Investigates: Orphek Atlantik V4, possibly the best LED Light for reefs? Today Ryan is taking the new Orphek V4 Atlantik LED Light for its round of testing. The Orphek light is much different than other systems we have tested so far since it is made up of a panel of LEDs instead of clusters. Orphek is a leader when it comes to LED lighting for reef tanks and today we are going to find out why! The Atlantik V4 is Orphek’s flagship LED system, and it comes with wireless control through almost any smart device. We were excited to check out how the panel LED system performed when compared to the other types of LEDs on the market, and we were shocked at the results we got. The PAR graphs mimicked T5 lights, with its overall spread and lack of shadowing which was very impressive. Overall the spread of the fixture was very even and went from edge to edge on our 4-foot tank, with just a single module. 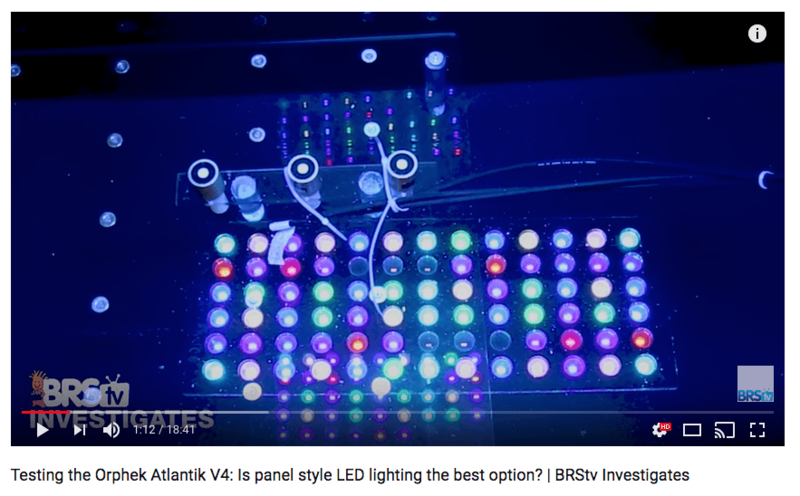 The Atlantik’s spectrum also crossed all the way from UV up to IR making it one of the widest spectrums you can buy today. The LED light for reef aquariums comes with 90-degree optics which help spread the light out, while the thick acrylic spacer acts as a diffuser without blocking the optic but blending the light, removing any disco ball effect and producing a nice shimmer. We would like to take this opportunity to thank the guys from BRS for trusting us and for the excellent review of our LED fixture!